Image caption The Treasury said the £500m annual investment was needed to help young people get skilled work "as the UK prepares to leave the EU"
Vocational and technical education in England is to get an extra £500m a year in a bid to train more skilled workers and boost the economy. The plans, to be set out in the Budget, also include replacing 13,000 existing qualifications with 15 "routes" linked to the needs of employers. Students in further education or at a technical college will also be eligible for maintenance loans. The new courses are expected to start from the 2019/20 academic year. The government is calling the plans the most ambitious education reform since the introduction of A-levels 70 years ago. The funding will increase the amount of training for 16 to 19-year-olds' by 50%, to 900 hours a year. A government spokesman said the move was part of its plan to tackle weaknesses in the UK's productivity levels, and so improve living standards. 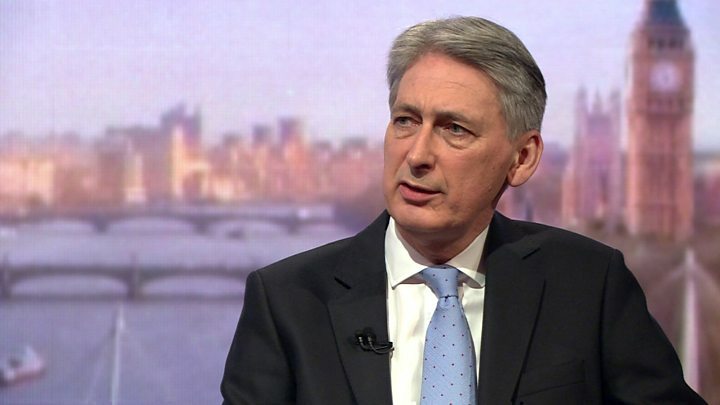 Chancellor Philip Hammond told The Andrew Marr Show skills were one of the big issues the government needed to address. He said the UK needed to do significantly more in training and "upskilling" young people to prepare the economy for a post-Brexit future. He wants there to be a "genuine parity of esteem" between the academic and technical routes to employment. Mr Hammond said: "What we need to do in this country that others - the US, Germany - have done years ago, is create a technical route which is as rigorous, as clear in the qualifications that are achieved and as well understood by young people and employers as the academic route is." Under the plans, thousands of qualifications will be replaced by 15 "T-Level" training routes specific to different industries, from finance and accounting to engineering and manufacturing. Association of Colleges chief executive David Hughes said the announcement would make a significant and positive difference, saying technical skills and education had been overlooked for too long. He said: "Post-Brexit Britain will need more self-sufficiency in developing skills and people will need the confidence, support and opportunities to adapt and change over 50-plus year careers." The policy on vocational qualifications comes after a review of technical education carried out by Lord Sainsbury last year. He said: "Targeted investment of this type makes economic sense - our international competitors recognised long ago that investing in technical education is essential to enhancing national productivity. "But it is also essential if we are to equip people with the knowledge and skills they need to obtain rewarding and skilled employment in the future." Labour said while any new funding for vocational education was welcome, it was on Mr Hammond's watch that colleges were facing closure due to soaring deficits. Shadow secretary of state for education Angela Rayner added: "Much of the Chancellor's plans have already been announced elsewhere and the T-Levels simply formalise the 15 technical education routes that already exist. "The idea that this will reverse years of Tory neglect is laughable. It is very much the minimum needed to address the new skills challenges of Brexit." With Brexit looming, there is even more urgency for industry to have enough home-grown talent in the workplace. Vocational skills and technical education have been longstanding weaknesses in England's education system. Employers have called for more attention on worsening skills shortages rather than getting more young people into university. 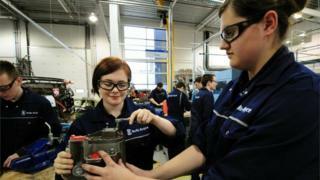 This £500m will be a boost for raising the quality and status of workplace skills. But school leaders have been complaining vociferously about a deepening funding crisis for basic running costs. And this cash announcement will have head teachers wondering if they're next in line for a Budget day extra helping.